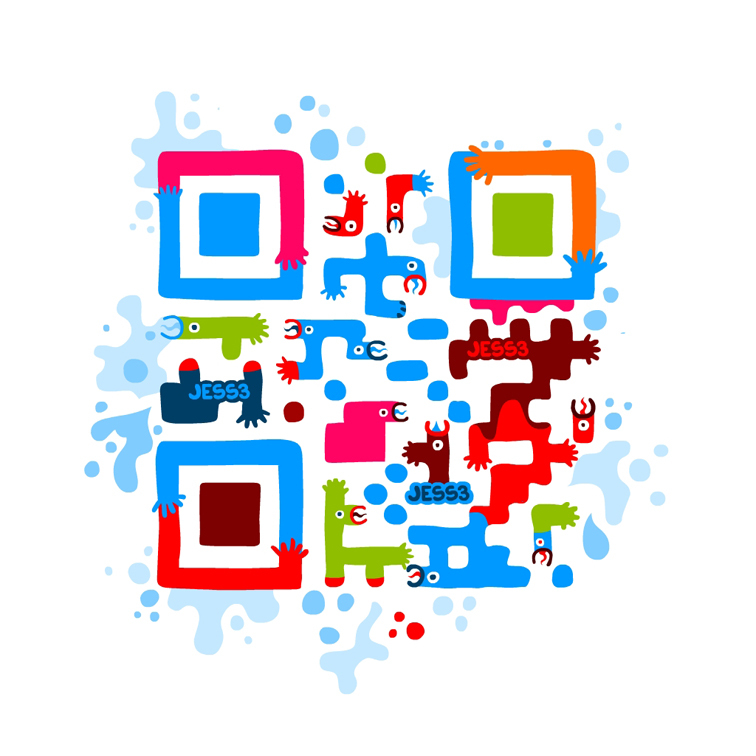 With the ever-growing spread of smart phones around the world, QR codes have gained major popularity in the past few years. 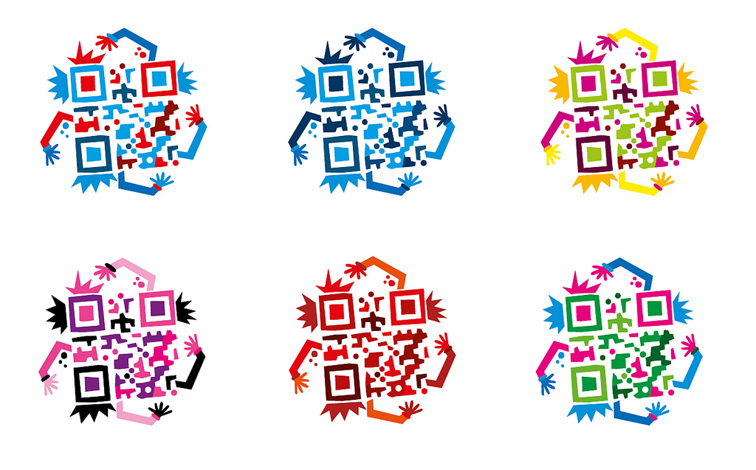 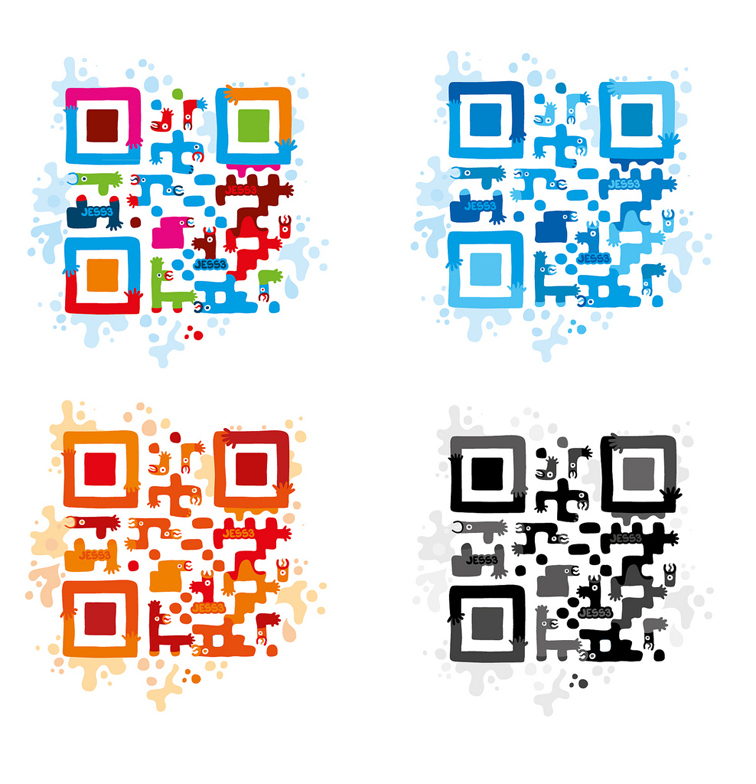 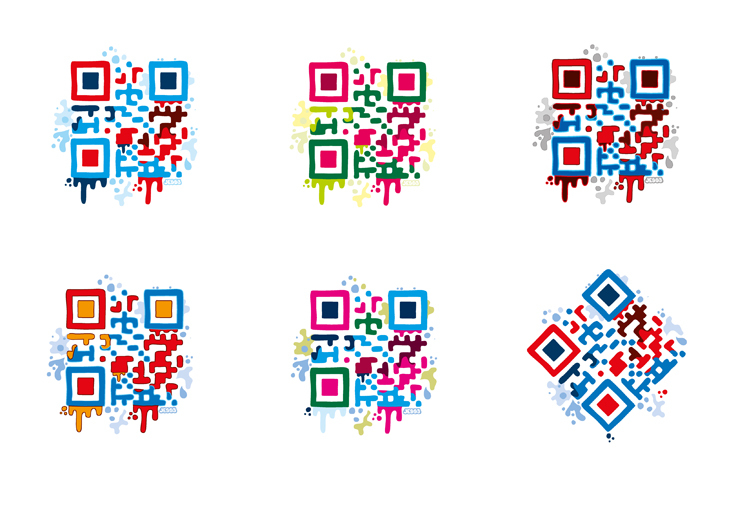 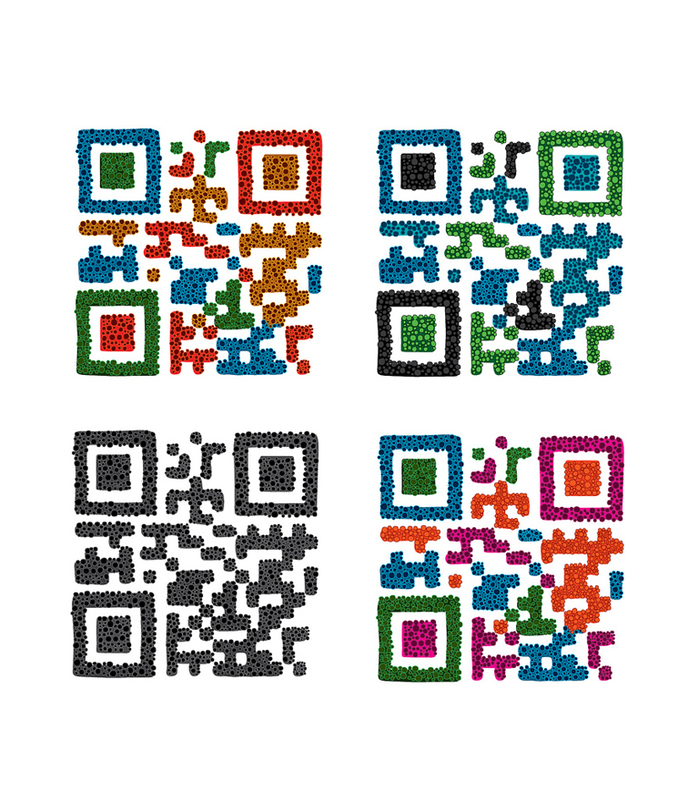 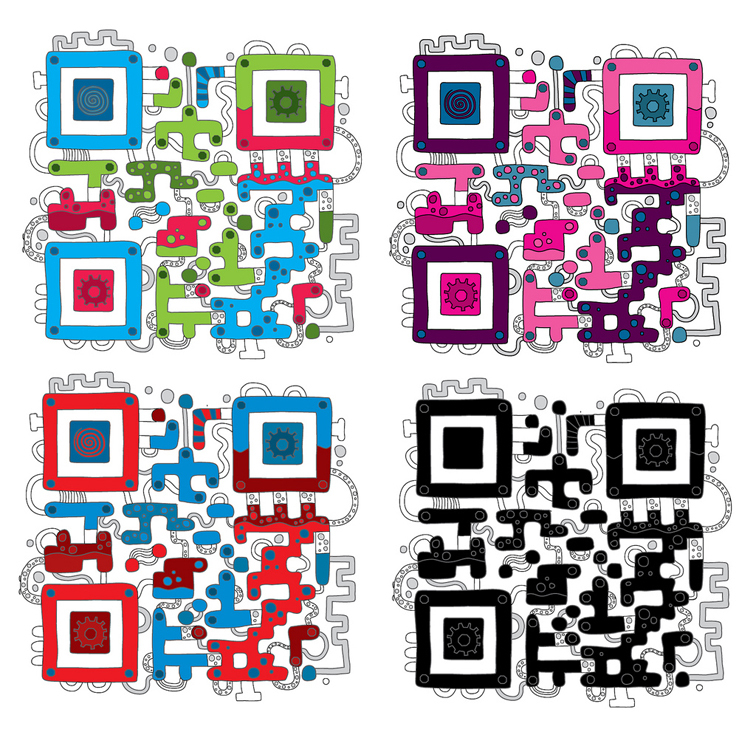 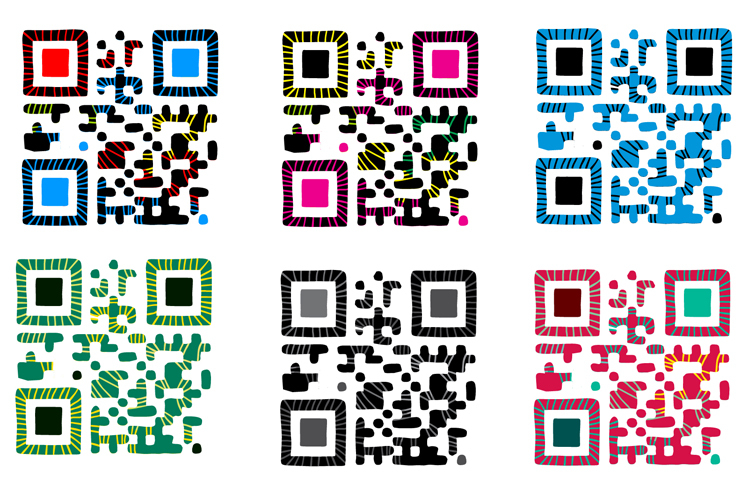 Thinking there might be more visual possibilities in the world of QR codes beyond the simple black squares, we decided to explore a range of creative designs with different colors, shapes and mediums, none of which interfere with the basic functionality of the codes. 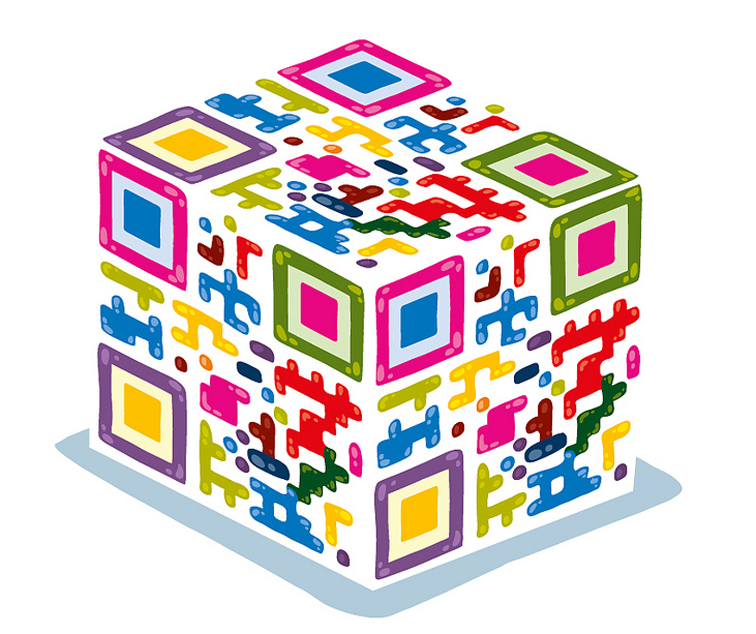 Under Jesse Thomas' close direction, the JESS3 design team played around with building 3-dimensional codes out of legos, designing colorful codes which incorporated the JESS3 logo, skulls, and different paint-like effects like pointillism and drips reminiscent of graffiti.